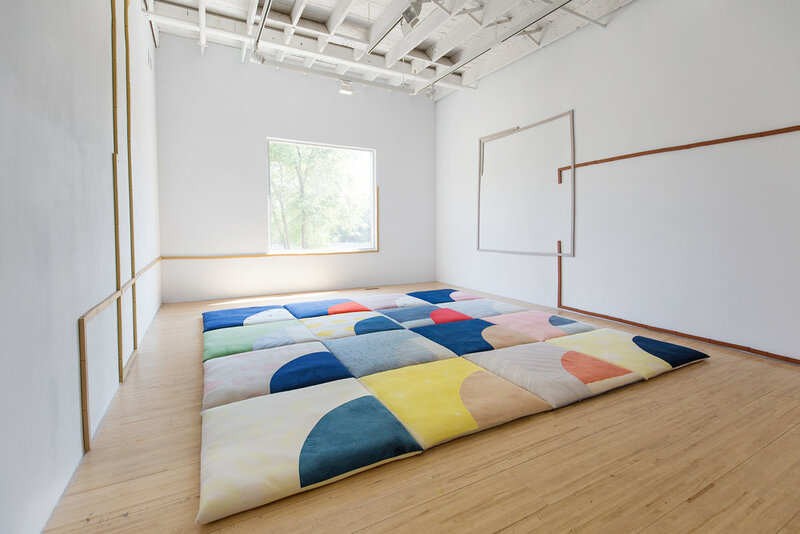 Forty Days and Forty Nights (Making the bed) was presented at AXENÉO7, June 6 - July 7, 2018 as part of the exhibition Adding Softly, Hardly Subtracting: Jessica Bell & Robert Taite. 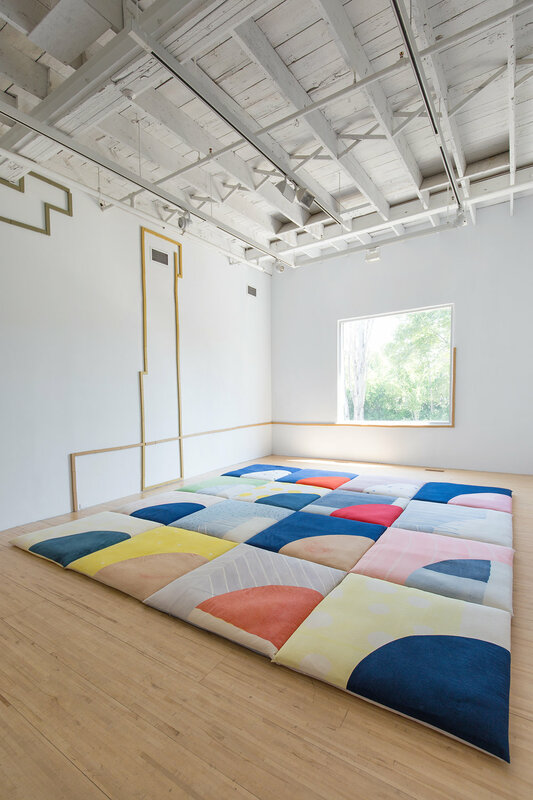 Jessica Bell presents, on the floor, an enormous quilt made entirely by hand. Laborious and careful at the same time, it consists of 40 patchworks of muslin fabric meticulously dyed and painted, one by one, at the artist’s home. 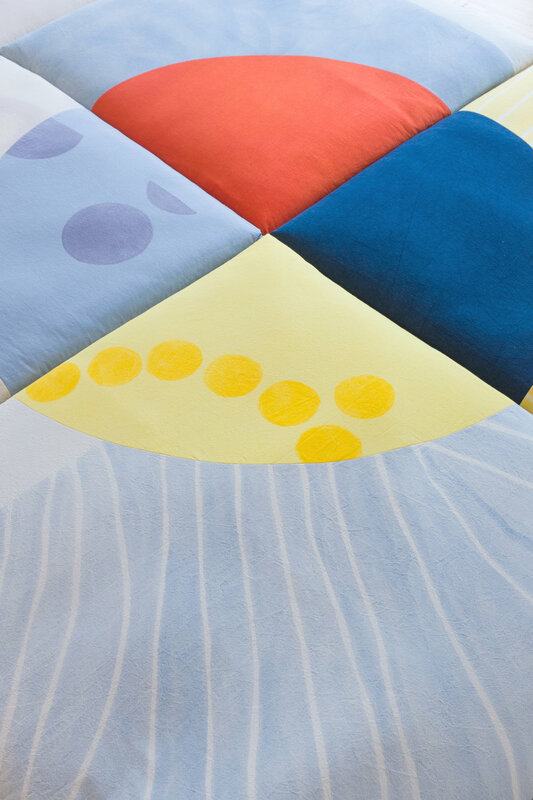 Using a traditional quilt design — Drunkard’s Path — and through means of repetition, Bell constructs, deconstructs and reconstructs her painting gestures into a plethora of pictorial surfaces that behave like sculpture. The distinct forms of each piece converge into abstract patterns subjected to manipulation and transformation and are only temporarily assembled for the moment of the exhibition. In anticipation of possible iterations, the quilt remains formally and physically tangible: manageable, flexible and moreover fragile. Travel assistance for this exhibition was provided by the British Columbia Arts Council.